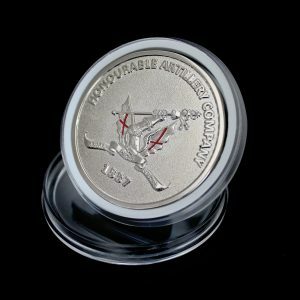 A new take on the traditional schools medals, Medals UK are proud to present the Sandbach School Combined Cadet Force Commemorative Medal produced in 2018 to mark the 100th year of the Sandbach School’s Combined Cadet Force. Sandbach School was founded in 1677 and has occupied it’s site near the centre of Sandbach, Cheshire since 1851. Today the school operates as a free school and welcomes pupils of all backgrounds and abilities. Their aim is to develop the compassion, aspiration and resilience of every student hoping that when they leave the school they will take with them a sense of self-worth, and ability to be at ease with themselves having developed their talents and abilities in-order to be a valuable member of society. The school is proud of their traditional values, offering a strong academic programme and priding themselves in high-quality education that is echoed in their strong local and national reputation for excellence. The school complements their academic life with a wide programme of extra-curricular activities, providing endless opportunities for the conscientious Sandbach School student. Once such opportunity is the Combined Cadet Force that operates at the school after the teaching day has finished. 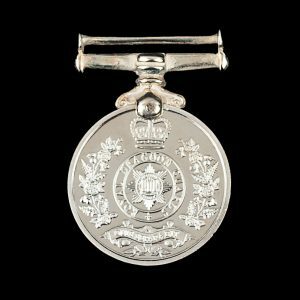 The CCF was created in 1948 through the amalgamation of the Junior Training Corps formerly known as the Junior Division of the Officers Training Corps, and the school contingents of the Sea Cadets Corps and Air Training Corps. 2018 marks the 100th year of the The Combined Cadet Force at the school. 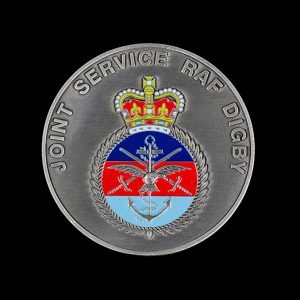 As a voluntary organisation supported by the Ministry of Defence their aim is to provide a disciplined organisation in which pupils can develop powers of leadership through training to promote the qualities of responsibility, self-reliance, resourcefulness, endurance and perseverance. 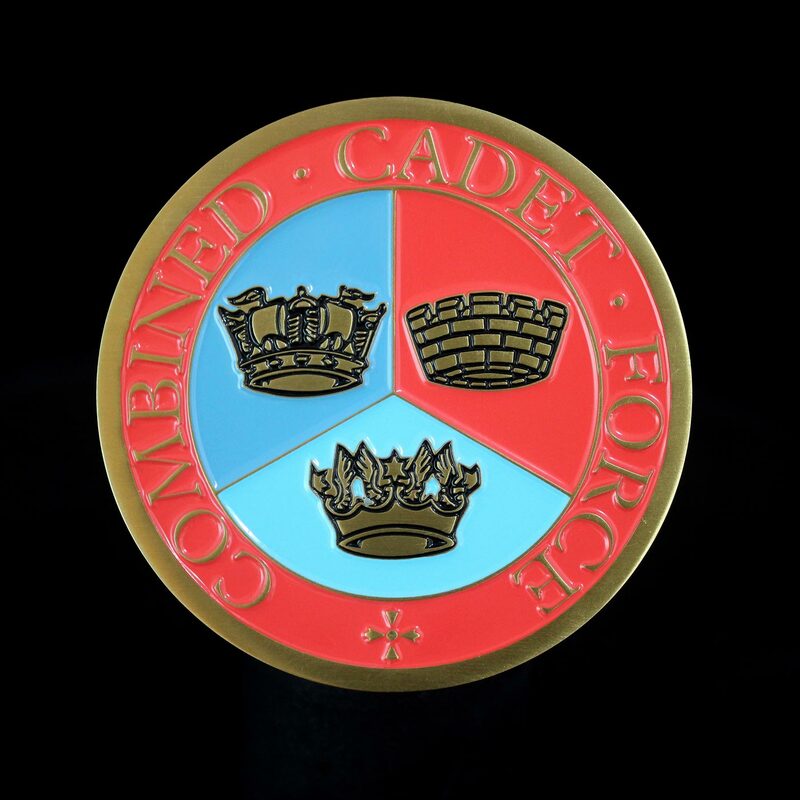 At Sandbach School the CCF consists three separate sections; Navy, Army and RAF. Sandbach School CCF Sections each have their own officers, uniform and training programmes though many activities and training exercises are combined. 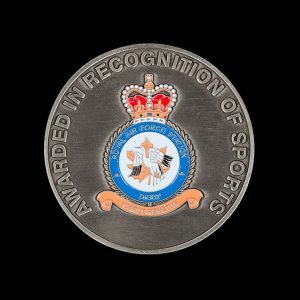 Whilst members of the CCF are not part of the Armed Forces and so are not liable for service or compulsory training in the Armed Forces, the training does impart a basic knowledge and understanding that is reflective of the Armed Forces and many students go on to becomes Officers in the Regular or Reserve Forces. 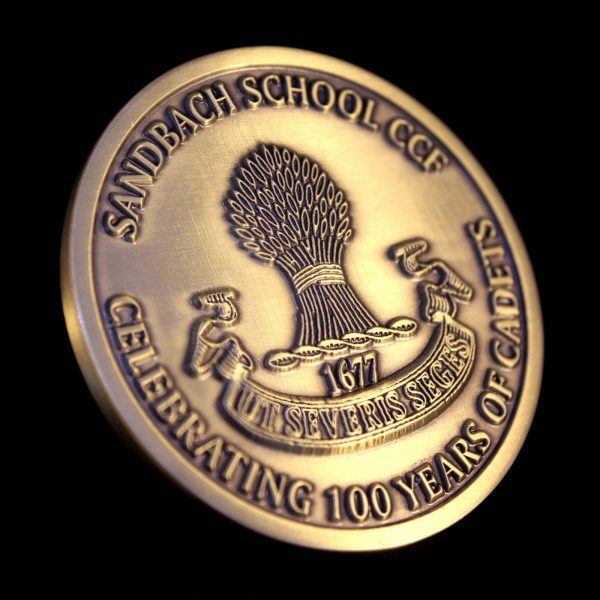 The Sandbach School Combined Cadet Force Commemorative Medal is presented to Sandbach School Combined Cadet Force members to commemorate the successful 100 years of the organisation at the school. 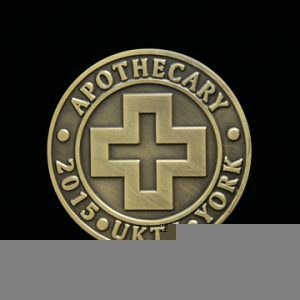 It is a beautiful bespoke medal measuring 50mm and finished in gold antique colour. 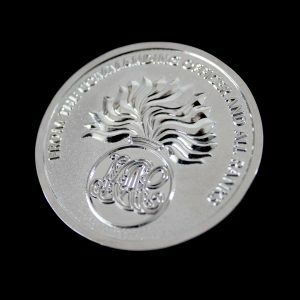 The obverse of the medal features the Sandbach School Logo and motto “ut severis seges” or “As you sow, so you shall reap”. 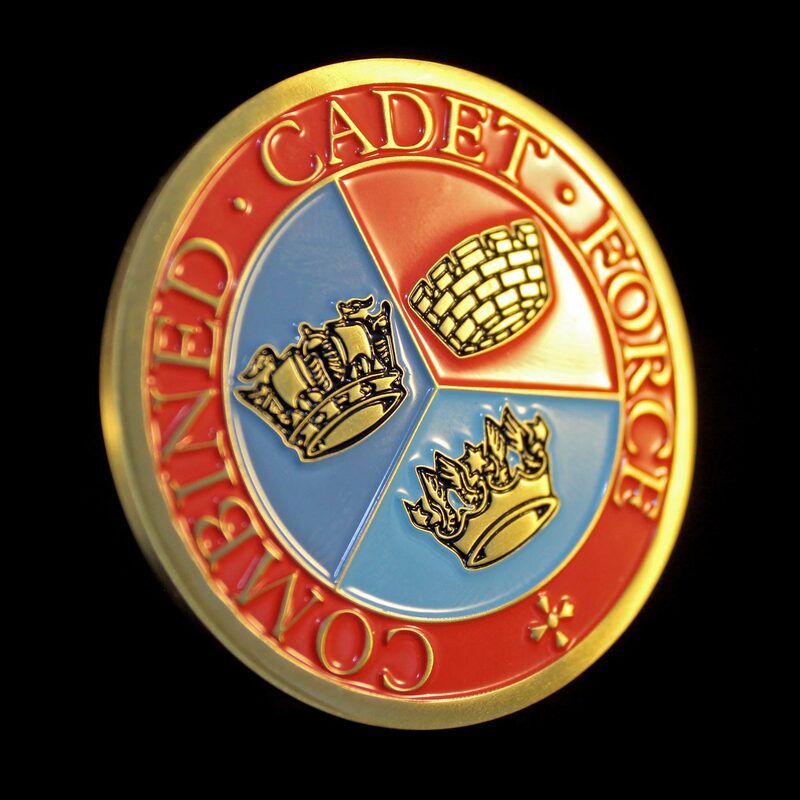 The reverse of the coin showcases the CCF logo and name in a contrasting coloured enamel.